Thank You For The Umbrella, Totes! Thanks for the umbrella, Totes! I have used my Totes umbrellas successfully a number of times in the last couple of weeks. Totes kept me dry with my large golf umbrella during a torrential downpour at a soccer game. They kept me dry when I hurried from errand to errand with my regular umbrella and, most recently, they gave me extra insurance when I carried my teeny tiny Totes micro or mini umbrella in my bag to the Canada Day celebrations. Yesterday, I was out in the pouring rain yet again and I thought I'd like to write a Thank You to the inventor of the umbrella. I hurried home, dried off and did a bit of research. Turns out that umbrellas have a very long history and so I have decided to say thanks, instead, to the maker of my umbrellas, Totes. 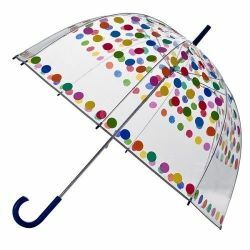 By way of thanks, you will find a bit of the history of umbrellas and of Totes on this page as well as a selection of some of Totes bestselling and best-ranked umbrellas that are available on Amazon. I hope you enjoy this page and that, if you are looking for a new umbrella, you find one you love to keep you dry! An umbrella can be loosely defined as a canopy to help shield one against rain. Umbrellas are designed to be hand held and often are very fashionable. The word umbrella is derived from the Latin word umbra which comes from an ancient Greek word, ombros which means shade or shadow. Other words for an umbrella include brolly, bumbershoot and 'bella as coined by Rihanna. 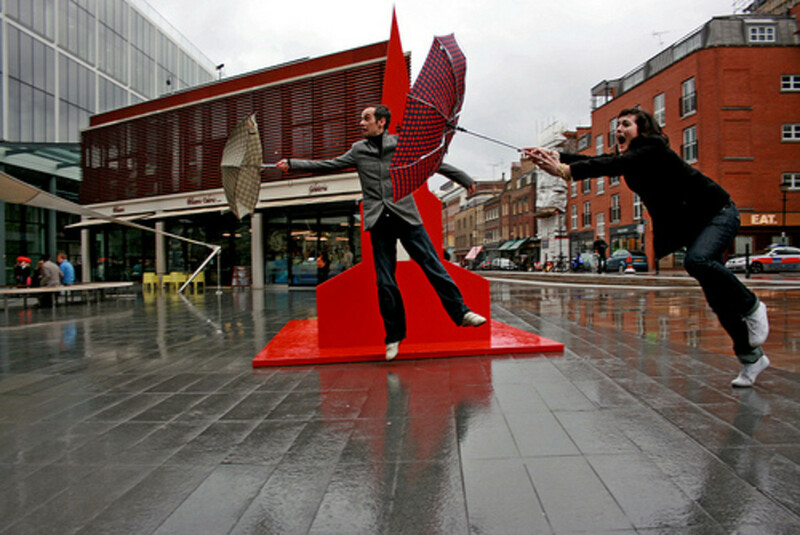 Research indicates that the umbrella was invented perhaps as many or more than four thousand years ago. Umbrellas show up in artwork from Egypt, Assyria, Greece, and China. 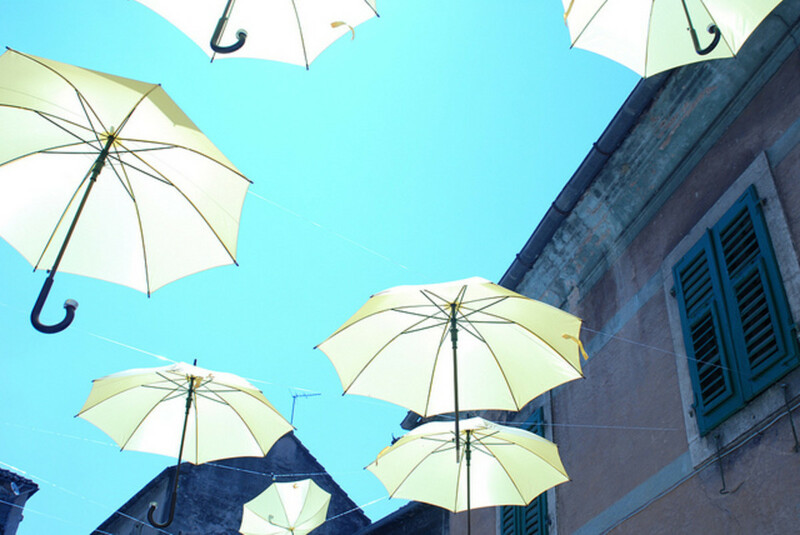 Mostly, they seemed to be used to protect from the sun and it may have been the Chinese who first made their umbrellas waterproof by waxing and lacquering their paper parasols. In the 16th century, people in the western world started using the umbrella for rainy weather and at first it was used only by women. 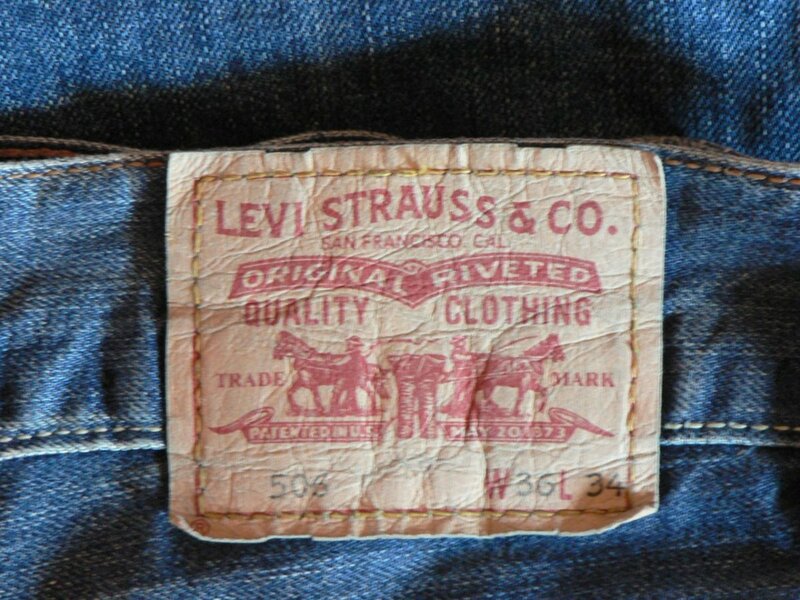 In the 1700s, it became fashionable for men to use them. The first umbrella shop may have been opened in the 1830s by James Smith and Sons in London, England. The first umbrellas consisted of wood or whalebone covered with alpaca or canvas that had been oiled. The handles were made by artisans from hard woods. In the year 1852 the steel ribbed umbrella was designed by Samuel Fox who claimed to have dreamed up the steel ribs of an umbrella in order to use up steel stays from women's corsets. 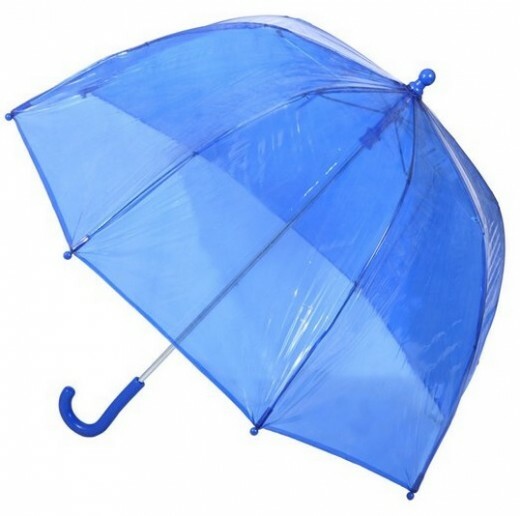 More than a century later, collapsible umbrellas were developed and today, the umbrella is a very practical, everyday household item in many parts of the world. You can find umbrellas that are cheap and expensive, big and small, colorful or black and you can use them to show off your personality! Totes umbrellas are manufactured by the Isotoner Coporation who operates out of the United States. They claim to be the world's largest marketer of umbrellas. Totes is world renown for quality and reliable umbrellas. You may want to consider making your next umbrella an umbrella by Totes! The company that makes Totes originally started in 1923 making rubber boots in Ohio. It was in 1969 that Brad Phillips obtained the patent for the first folding umbrella and in 1970 Totes introduced the folding umbrella to people in the United States. It was a hit. The best ranked Totes umbrella on Amazon. 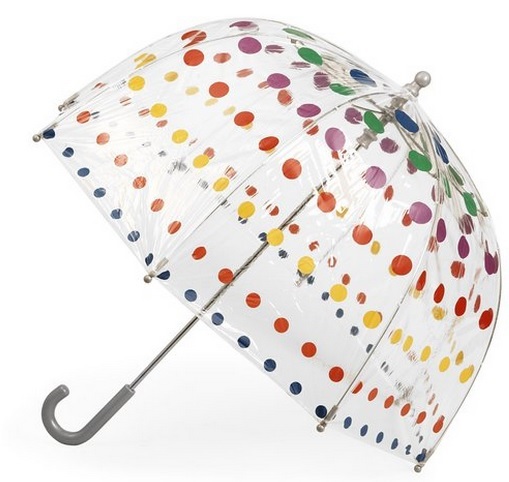 This classic umbrella, the bubble, is a best seller on Amazon! It provides a bit of extra protection from the rain and has the added benefit of NOT blocking your sight, making walking in the rain a little bit safer! 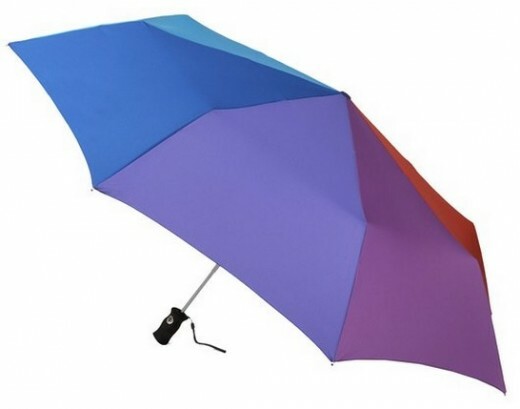 This PVC umbrella has an arc canopy of 52 inches when opened and 17 inches of headroom! Pick whichever suits your child best! A pink, blue or clear umbrella! Click here to buy the Kids Clear Bubble Umbrella by totes from Amazon. We use a golf umbrella for soccer and never, despite the forecast, head off to a game without them. In our part of Canada, even on a hot, sunny day we are susceptible to late day thunderstorms and with them often comes torrential downpours. Recently, however, we went to an overcast game where the sun unexpectedly came out and it was HOT. I couldn't believe how hot. It felt like the sun was burning my legs...once again, it was Totes to the rescue and I wasn't the only one watching the rest of the soccer game from behind my 'bella! The SENZ mini windproof umbrella is amongst the best and strongest umbrellas made by Totes. It is designed with a unique aerodynamic shape that is perfect for wind resistance and which is windproof up to a wind force of 70 mph. One of the best umbrellas that money can buy! Available in both black and red. One of Totes bestselling black umbrellas. Okay, I'll admit it. My husband is a gentleman but he doesn't carry this umbrella. 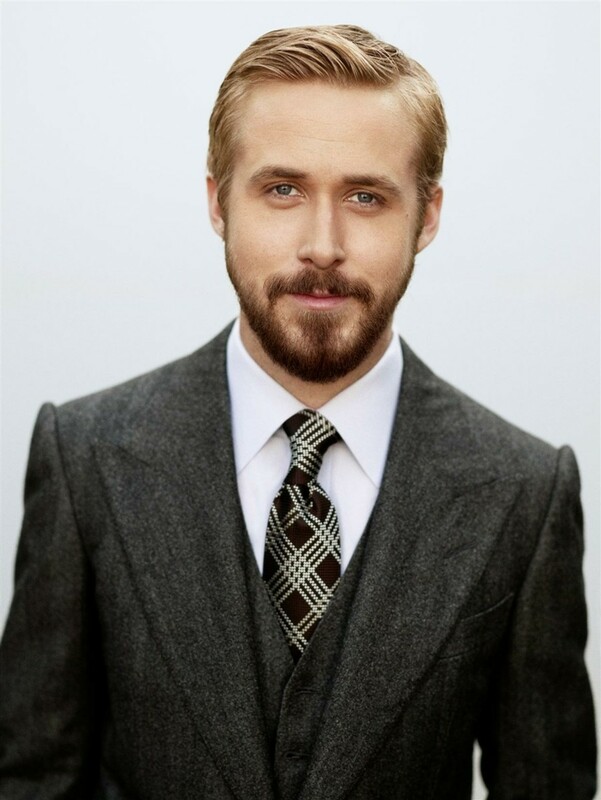 He really does prefer one that he can fold up and put in his briefcase. 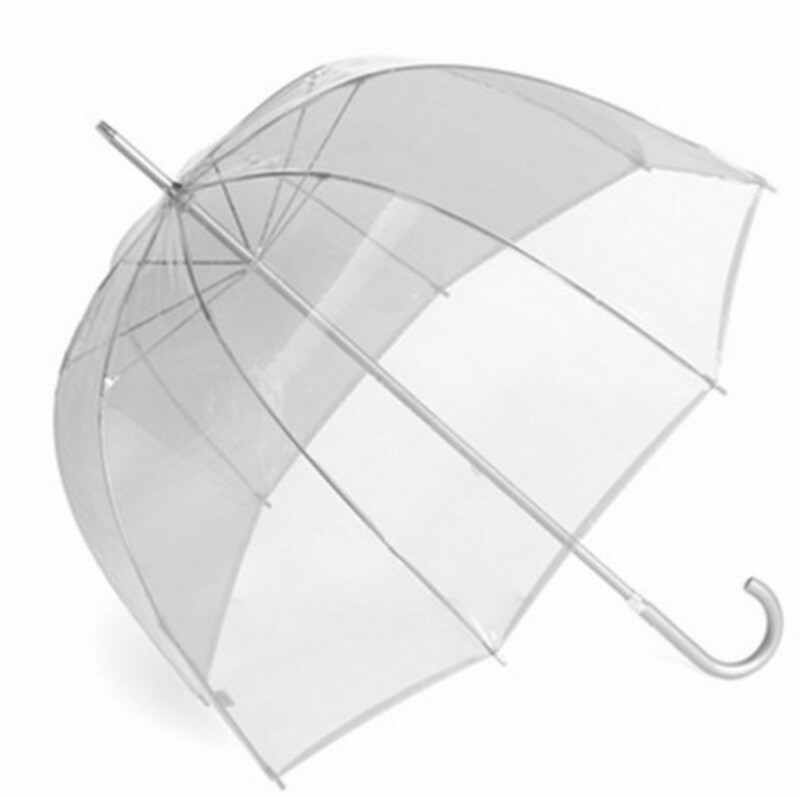 However, this is a great umbrella if you do not need that functionality or if you live in a climate like we lived in in British Columbia where the day starts of rainy and stays rainy so you can be sure that you are going to be using it both going to and from work. We do have some of these umbrellas (that do not collapse) and one that precedes the invention of the micro or mini umbrella. We still use it although less often than we use the collapsible ones. Thanks, Totes, for a wonderful product that I can count on! You're going to love all of the popular designs in Hatley's children's rainwear collection. Looking For Rihanna's Pink Umbrellas? I love Rihanna's Umbrellas song and her line of real pink umbrellas! How often do you use your umbrella? - Are you thankful that someone, somewhere invented the umbrella? I sure am! Well, I did not know that March is National Umbrella month! Of course, living in the UK, we find umbrellas very handy!! :) you went commercial on the acknowledgement assignment :) Smiling ear to ear. Blessed. Heard a funny story about umbrellas recently. We've had much rain here in East Coast America, and our son lives in Brooklyn and works in Manhatten.Every one had their umbrellas up and people were getting poked, causing "rain rage!" I personally never use an umbrella. Rain is the Great Cleanser!! What a clever lens, Brenda! I need a new umbrella too. We used our umbrella last night during the 4th of July concert that preceded our local fireworks display. Sure glad we had it - it poured! I love Totes umbrellas! I really like those clear umbrellas! And oh yes, I am thankful for them, tho I would never have thought to say so! Loved reading the history too! One of the every day items that we don't think of often, but which we couldn't do without. Beautiful lens as usual!